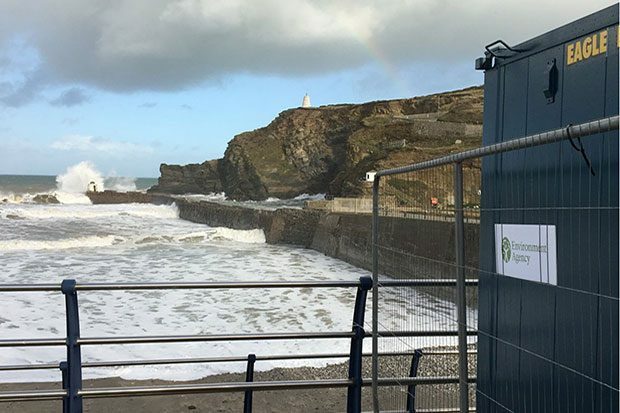 The Environment Agency and Natural Resources Wales are responsible for providing flood warning information to properties at risk of flooding. We do this by sending notifications via text, email and phone. In recent weeks we’ve been moving our text notification service to GOV.UK Notify, providing us with many benefits and improvements. GOV.UK Notify is a platform for government, built and maintained by a team at the Government Digital Service. As government bodies, it offers us the opportunity to provide a more efficient service: taking out duplication, saving the taxpayers’ money and ensuring our service (of high volume) is on a really robust platform. By using GOV.UK Notify we save taxpayers’ money, as the cost per text is less. We no longer pay a monthly contract to a text supplier and we benefit from 250,000 free text messages per year. In short, we now have a cheaper, quicker and more resilient way of texting people critical flooding information. Transitioning to GOV.UK Notify for text messages has been a straightforward process. Working with Fujitsu, our supplier partner, we integrated the Notify API into to our existing systems and the Notify team provided excellent technical advice based on their experiences of supporting hundreds of varied government services. Why send flood warnings via text? 2.6 million properties are at risk of flooding from rivers and the sea in England and Wales. We have a well-established flood warning system that has 1.4 million registered properties which receive warnings via automated telephone calls, email and text. In the last 3 years, we’ve sent over 3 million text messages directly to users, alerting them to flooding in their area. By working closely with mobile phone carriers EE, O2 and Three (and soon Vodafone) we have proactively registered over 1 million properties in areas at risk of flooding. More and more people are choosing to receive flood warning information via text and we expect that number to keep on growing. 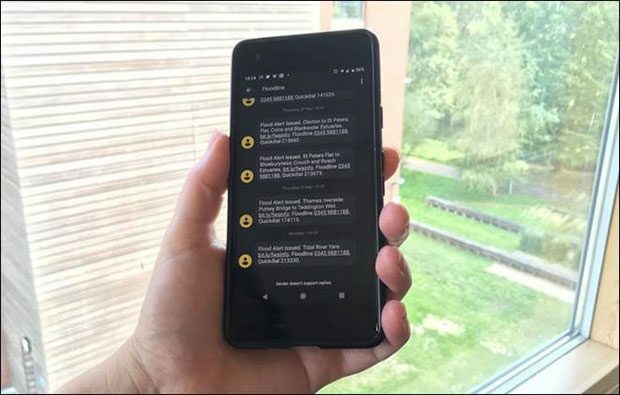 Text messages allow us to provide near instant alerts directly to users, with key information on local locations at risk of flooding and links to the Flood Information Service on GOV.UK which provides detailed and up-to-date information. We’re going to roll out text notifications sent from Notify over a period of time and slowly phase in using Notify for all our flood warning text messages. After that, we will explore using the platform for sending flood warning emails and user registration letters. This will provide a more coherent experience for our users, provide further cost savings and help simplify our service. We look forward to seeing what future improvements the Notify team roll out so we can further improve the flood warning service.